« Will Japan ever feel comfortable using its military? O.J. being in trouble again isn’t news to anyone, but check the plaintiff out! This guy his hilarious. He called “Inside Edition” before he called the police, or so things increasingly seem. 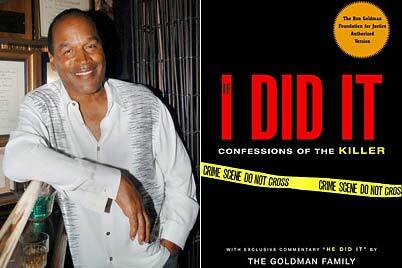 It is understandable for the justice system of every state to want to throw the book at O.J. for any and all infractions after letting him get away with murder on the Equal Opportunity Act, but this plaintiff’s exploitation of the event for monetary gain is damaging to the case in any event. We already know when O.J. goes to court it becomes a circus with reality jumping through flaming hoops and the law on the flying trapese. Why would you risk all that with calling a TV tabloid before you call the police and discussing book deals (what a boring book!) before the trial is even in full session? In any case, the plaintiff being a jackass doesn’t reduce the severity of O.J.’s lunacy and wreckless behaviour. O.J. should get whatever any other aquitted murder who commits the several felonies he did in the course of this exceedingly weird robbery would get. And the plaintiff should be put in the stocks somewhere unfriendly. This whole thing is just getting too weird. Wow. This entry was posted on Friday, November 9th, 2007 at 11:58 and is filed under Society. You can follow any responses to this entry through the RSS 2.0 feed. You can leave a response, or trackback from your own site.